You can’t connect with something you’re not passionate about. Gemma Christina Arterton was born in Gravesend, Kent, England. She is an English actress. She made her film debut in the comedy film St Trinian's in 2007. Her breakthrough role was in the James Bond film Quantum of Solace, playing Bond Girl Strawberry Fields, which won her an Empire Award for Best Newcomer. She graduated from Royal Academy of Dramatic Art in 2008. Her sister, Hannah Arterton, is also an actress. 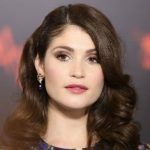 Her role in several films include: Three and Out, Tamara Drewe, Clash of the Titans, Prince of Persia: The Sands of Time, Byzantium, Hansel & Gretel: Witch Hunters, and Runner Runner.